The most remarkable thing about Android is that it is the first widely adopted Open Source client operating system. It's long been clear that Open Source is the best way to preserve infrastructural code from the vicissitudes of corporate and governmental volatility, but using it for client applications has so far not taken off as well. There has often been a separation between an open source underlying layer and a proprietary user experience that is built atop it. Android does follow this pattern to some extent - the underlying OS code is fully Open Source under an Apache License, so anyone can bend it to their own uses, but in order to get the "with Google" logo on your device, you need to conform to Google's Compatibility Definition Document. That has changed over time; for example the 2.1 version specifies that your device MUST have a camera and 1.6 requires telephony. If you do this, you might then get access to what I call the top half of Android - the closed source Google apps that integrate the device closely with their web services - Contacts, GMail, Talk, Android Market, Google Maps, Navigation, Listen, Earth, Places and so on. However, this requires an explicit partnership with Google. The fascinating thing here is that there is already a Cambrian Explosion of new Android devices going on in China and India. You can buy iPad lookalikes, things that look like a huge iPod, TV-based video game systems and more that run Android, often for under $100. I fully expect most digital photo frames and mp3 players being built this year will end up running some form of Android, with cameras following on too. This means that more and more devices will be naturally web-connected, able to run browsers, and to plug into web publishing ecosystems naturally - the Android Intent model means that Apps can plug together neatly, and replace system features if desired. However, a lot of the day-to day utility of an Android device is in the proprietary, partners-only layer - that you only get after doing a business development deal with Google of some kind. What we will start to see is alternatives for these Applications being developed. To some extent we're already seeing this from US carriers, but I think this year we'll see both an Open Source suite of apps to swap in many of these functions, and other proprietary offerings to compete with the Google upper half. Who could build such a suite? Facebook, Twitter, Microsoft clearly have most of the necessary pieces, but how about Baidu, Tencent, Vkontakte or other companies with strong regional ties? Now we have a truly Open consumer OS, a world of possibilities open up. 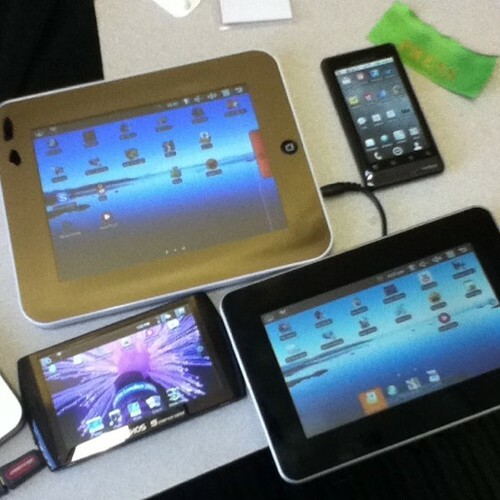 There are rumours around CES at the moment that Honeycomb (3.0) will require a dual-core CPU. Although this might just be for tablets and relaxed for smaller form factors. Bob do you have a link to something discussing that rumor? I would like to look into that further. Thanks. Excellent points, Kevin. One of the key questions for me is how much the Google app suite becomes associated with Android (I love my maps and google navigation!) and if users will become turned off if they buy a low cost device that says "Android" on it but doesn't have those apps - potentially a big branding isue for Google and for Android itself, as it invests more in the brand. in China, many Android based phones are using the Android OS only, but with all other companies' applications. Bob, Dan Morrill confirmed that HoneyComb doesn't have a minimum processor requirement. Bobby Shmudkip: @kevinmarks @BenedictEvans @fmanjoo @janwinter15 Of course. It's trending towards more control by Google, which is good for updates etc.